In Old Scratch Wood on Dartmoor quarrelling cousins Matt and Tilda find a buried skull. From that moment black things begin to happen. Birds and animals turn bad and there are rumours of the return of an ancient curse known as the gabbleratchet. But what can Matt and Tilda do to stop it? This chilling, nail biting ghost story set in the wild landscape of Dartmoor thrillingly blends the supernatural with contemporary children’s voices. Matt can't pretend to play happy families, when it feels as though his is falling apart. Matt is staying with his uncle Jack and cousins Tilda and Kitty in Dartmoor. With his dad who left on yet another sailing expedition and his mother now in a new relationship with the annoying Paul, Matt needed to get away from the bustle of London, with no other option but to head to the country property. But if Matt believes he's in for a week of lazing about and being waiting on, he's got another thing coming. Tilda just wishes the annoying city boy would leave, and take his ugly shoes with him. After all, his family are the reason that Tilda's father may lose their farm, one of the only ties Tilda has to her mother, who passed away three years prior. The old farm is tired and run down, with the kitchen duties left to to Tilda, while her father has help from raving farmhand Gabe. Gabe tells the story of the spooky Scratch Wood forest, where dark evil lurks and no one seems to heed his warning. Tilda and Matt trade sarcastic and snarky comments, while Tilda is expected to show Matt around the farm. The two end up on the outskirts of the Scratch Wood, where Matt won't allow her to get the upper hand, and decides to explore. Eerily spooky, the woods are said to harbor and ancient curse. But it isn't until the two cousins discovered a buried box containing the skull of a mysterious bird. If only they had listened to Gabe, his prediction of the first omen being the flocks of birds that are said to be Harbingers, and if Matt and Tilda continue with their feud, Gabe knows that it'll be more than just birds they'll need to worry about. He's seen it all before. The mysterious skull only divides Matt and Tilda further, both sensing that it's an ominous sign of things to come. Matt regrets ever stepping foot in Dartmoor, and escapes on a journey of his own. But once the cycle begins, all roads lead back to Scratch Wood and the farm, where the animals are beginning to sense the curse at play, turning on the family. But the skull seems to have a hold on Tilda, who refuses to give it up. But the only way to stop the evil on their doorstep is to both let go of the feelings of anger and resentment they both carry, but can either learn to forgive before it's too late? 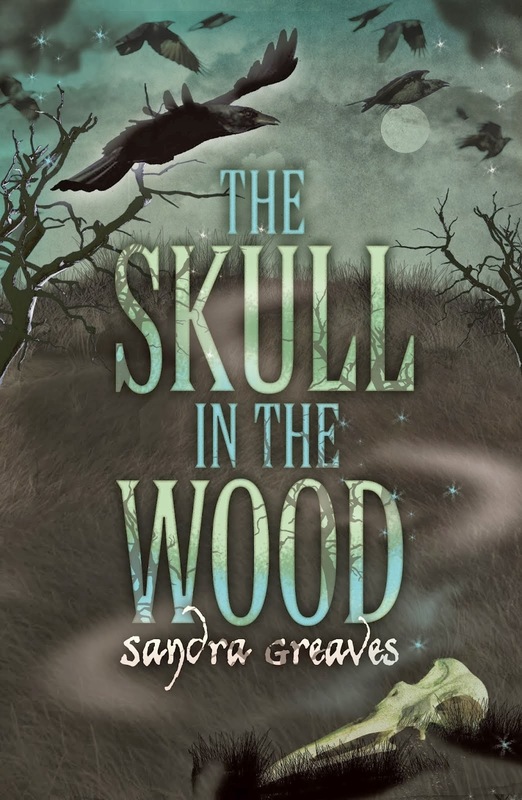 Skull In The Wood is a cute little read, and great for ages nine to early teen. It's spooky, without being scary and doesn't contain any romance, cursing or mature themes. Matt and Tilda are more alike than they'd both care to admit. Both only thirteen, they're at that age where your in between a child and those difficult teen years and refuse to put aside their difference for the harmony of the farm and pending curse. Tilda believes that Matt's mother, who is part owner of the farm, is trying to sell it from underneath them, and Matt's anger at his father leaving and being replaced with Paul, his mother's new boyfriend. In typical teen fashion, both pick at one another until they are both left hurt. 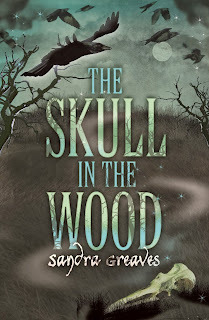 The mysterious skull the cousins find, only amplifies their feelings, which seem to be luring an evil presence onto the farm, where one of them will fall victim to the curse. Tilda's character was a stronger presence than Matt, and her anger and resentment were justified. I enjoyed the dual points of view, with small snippets from little sister Kitty thrown in. Kitty was adorable. By far the most annoying character was Gabe. He was one dimensional and only sprouted off passages of doom and gloom. I can see children being annoyed by his constant presence. But for the intended age bracket, it was a fun, quick read. It's quite cute and really entertaining. The quick middle grade books are perfect in between my normal young adult reads. They're usually fun and quirky. I'm glad it's a quick read, I'll keep that in mind when I crack open my copy :) I like the creepy spookoy aspect of it too. Gabe sounds annoying, I'll have to watch out for that. Thanks for the review Kelly! It's kid friendly creepy though, but I still found myself really intrigued. Can't wait to see your thoughts on it Jeann.